The Federal Reserve announcement, economic data release, and press conference air at 2 p.m. Eastern Time. FX markets are volatile due primarily to Brexit news, which at this hour is weakening the pound. Light trading overnight pushed emerging market currencies around with the US dollar up slightly. Market attention has turned to the Federal Reserve, and trading will be directionless until then. The consensus is for the central bank to keep interest rates on hold; however, participants will be looking for any revisions to the Fed’s predicted path of interest rates in 2019. Also, markets will look for indications on the Fed’s strategy for its balance sheet. The pound is weaker today on fears the UK will crash out of the European Union. Theresa May announced plans to seek an extension of the Article 50 deadline to June 30. There is no guarantee the EU will grant the UK this extension. There is little hope the UK Parliament can agree on a deal before any deadline. Ms. May could agree to step down as Prime Minister in an effort to secure support for her Brexit deal. UK inflation for February came in more or less in line with expectations at 1.9%. The euro is stronger mostly on GBP weakness. FX traders are awaiting the Fed meeting outcome later today, and are also watching the Brexit drama closely. The EU will vote tomorrow in regards to granting an extension to the UK exit date. 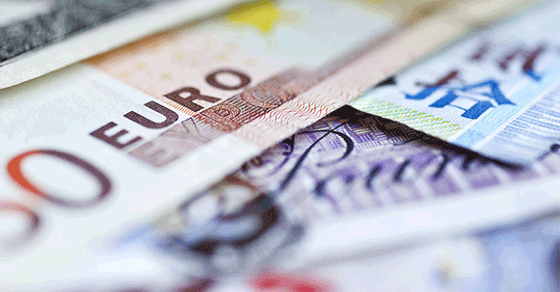 Producer Price data for Germany released this morning and missed expectations; however, the euro held steady. The Canadian dollar is up slightly this morning on a rebound from a sell-off late yesterday. The markets took a cool reception to the Canadian budget yesterday, sinking the loonie. The rebounding C-dollar overcame weaker oil and gold prices this morning and is now trading about where it was prior to the budget release. The Indian rupee bounced off the 68.83 resistance level from August 2018. Sentiments around trade talks between US and China, as well as the price of oil have been driving daily volatility in USD/INR. The Aussie dollar is stronger this morning despite important jobs data tomorrow.